Android: Netruner is a card game of cyber struggle set in a dystopina future where man and machine live side by side. Powerful megacorporations, intent on advancing their agendas, must protect their valuable data from elite hackers known as runners. 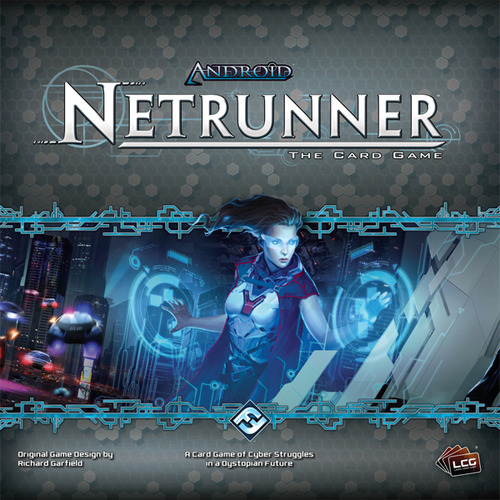 With asymmetrical gameplay and a cyberpunk theme, Android: Netrunner is designed for 2 players. Each player assumes the role of either a corporation or a runner in a contest of wits, deceit, and calculated risk. Prepare to jack-in! Assuming the role of one of the greatest sorcerers of the time, you will be participating in the legendary tournament of the twelve Seasons. 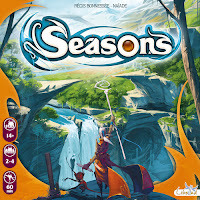 In a game of Seasons, your goal is to raise the most victory points by gathering energy, summoning familiars and magic items. If you amass enough crystals and symbols of prestige, you will become the kingdom's most illustrious mage. Optimize the cards through skill combinations, using the seasons wisely to access the energies of crystals and become the new Archmage of the Kingdom of Xidit. 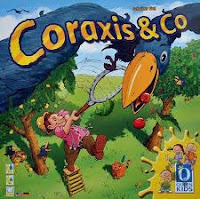 Coraxis & Co a game for clever farmers and cheeky ravens designed for 2-5 players ages 6+. The fruit trees of Farmer Bauer and his wife, Mathilda are hanging full of delicious fruits, a godsend for the ravens. This does not sit well with Farmer Bauer and Mathilda, hence the competition between humans and birds is on. In a game of Coraxis & Co each player will assume the role of the human/Farmer or the role of the Ravens. The raven player tries to uncover pairs of ravens and certain types of fruit, keeping the fruit. The farmer player tries to catch the ravens. In this clever memory game: wind and leaves, worms and cats provide child-oriented tactical options. 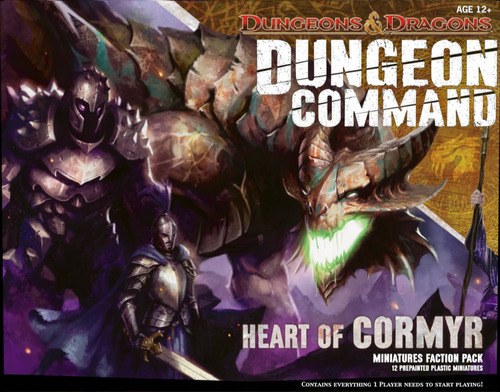 Each Dungeon Command faction comes in its own box, containing twelve pre-painted plactic miniatures (plus the cards, tiles, and rules for the game). 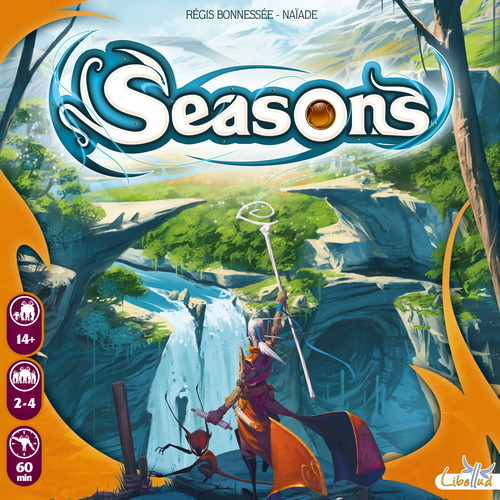 While each faction is meant to be played by a single player, quick-start rules allow two players to engage in a shortened version of the game using only one box. 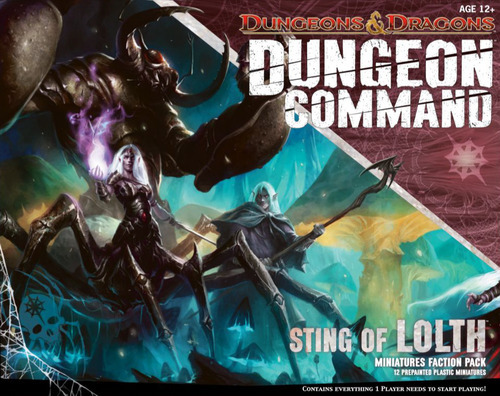 In addition to their use in Dungeon Command, the miniatures can also be used in the D&D RPG, with their cards further usable with D&D Adventure System board games (Castle Ravenloft, Wrath of Ashardalon, and The legend of Drizzt). 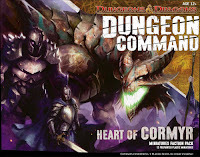 Not only will you find these 2 new Dungeon Command games in stock on our shelves. 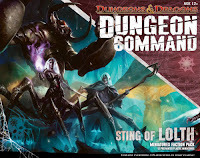 We also have Castle Ravenloft, Wrath of Ashardalon, and The legend of Drizzt in stock as well. 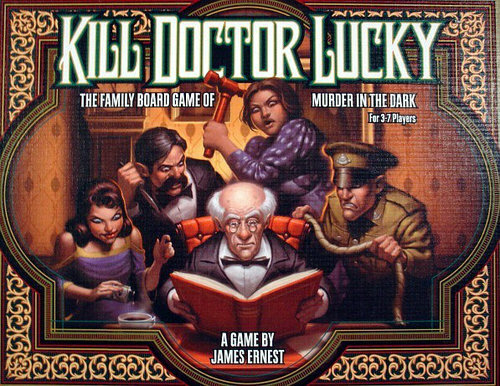 Kill Doctor Lucky pits 3-7 players against each other in a race to see who can kill Doctor Lucky. The trick is that all the other players want to do it first and will stop at nothing to prevent you from having the pleasure. And the old doctor has earned his nickname well: he's got more lives that Rasputin and an uncanny knack for dodging your best traps. But his luck can't last forever. 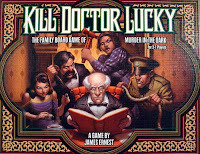 Before the game is over, someone is going to kill Doctor Lucky - wouldn't you rather it were you?